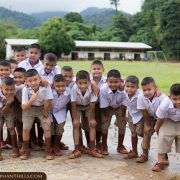 As we are located in the beautiful Khao Sok area, it is our company objective to work with the local community and based on past experience we feel trying to help children is a very good way to do this. The amazing Khao Sok National Park and its natural wonders attract visitors from all around the world, and the local children’s future close to Southern Thailand’s largest rain forest area could involve employment and business within the tourism industry. We believe that if the new generation has more comprehensive awareness of this unique area and skills to communicate with foreign visitors, they might be able to make a living out of it as they grow up. 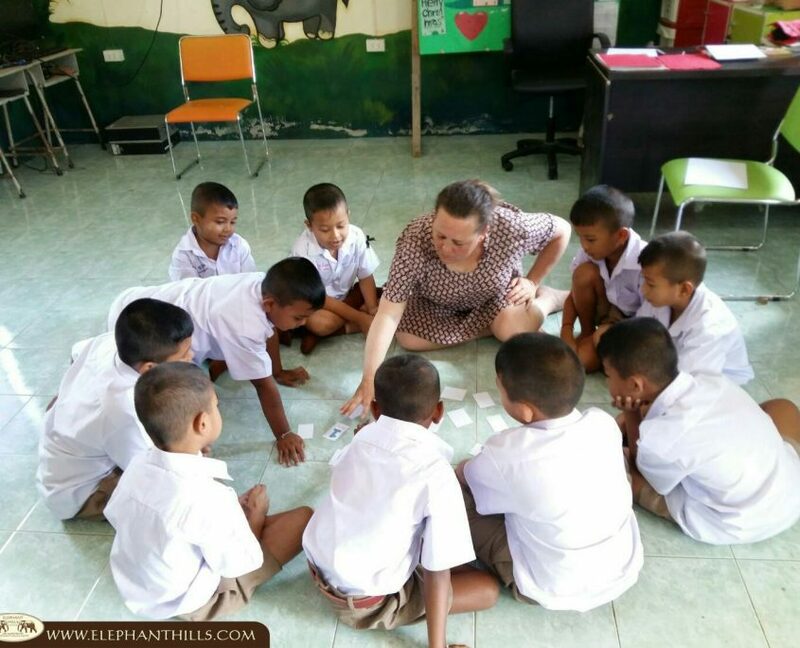 This is the third consecutive year when teachers from Nivå School in Denmark come to teach English to the students at Baan Yaplong School, located close to Elephant Hills resort in Khao Sok. 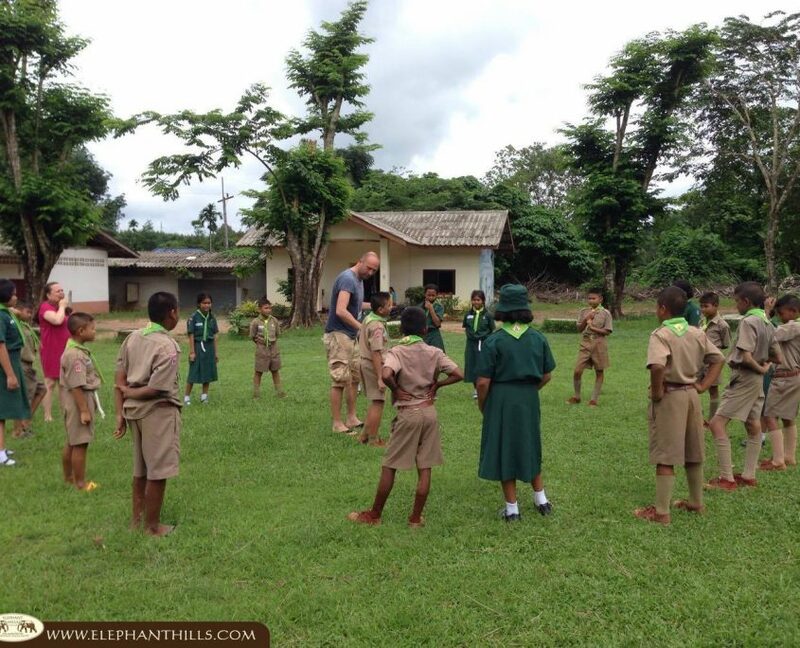 Flown to Thailand by Thomas Cook Airlines, the teachers’ accommodation, food, translator and transportation are provided by Elephant Hills. 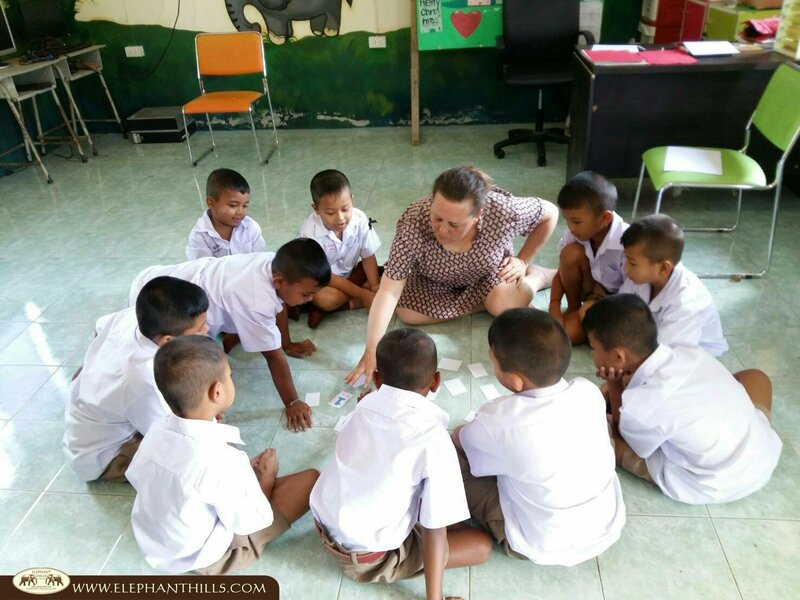 Anders and Mai, the English teachers from Denmark thoroughly enjoyed their time at Baan Yaplong School and Elephant Hills, and were able to see improvement with the children’s ability and courage to use English language within the week’s period they stayed with us. Anders was also part of the very first teaching project a couple of years ago and he could see a clear, positive difference in the students’ skills between his two visits. Both teachers emphasized the importance of continuance when it comes to teaching English, and they also took the time to share various teaching methods with the Thai teachers at the school. 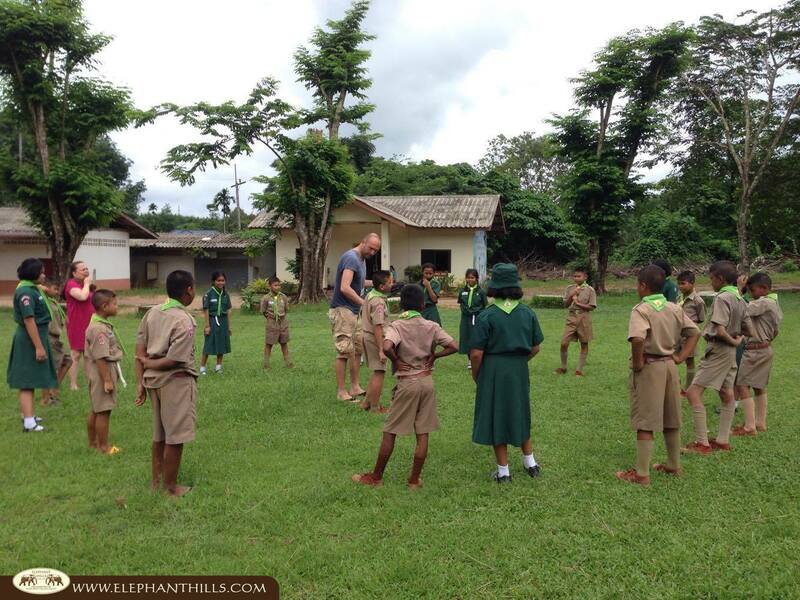 We at Elephant Hills are pleased and proud to have been able to work with such dedicated people, who obviously have a passion towards education, be it in a rural Thai school in Khao Sok rain forest area, or back home in Denmark. Read more on Elephant Hills Children’s Project here.